When Danny met Harry | What Now Derek? 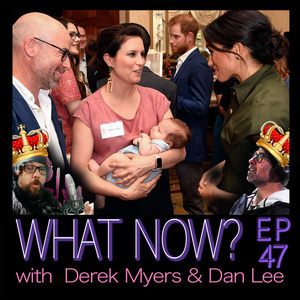 What Now host Dan Lee becomes the first Aussie podcaster to hang with Prince Harry and Meghan Markle. Yep, it is true. A big scoop for What Now. In this episode Dan discusses what it is like to chat with the Prince, and what it is like to be the Plus One at the big events. Somehow it gets onto our disgraceful interactions with the police in more youthful times. Dan is happy to be back in Broom and right now is probably standing on a deserted beach with a fishing rod. Pfft. can't be as good as typing shownotes in Preston while watching the Bachelorette.